Sister Susan Moran died on Dec. 18 during an unusual cold snap in Toronto. Her friends, family and colleagues noted the irony: During such a time Sister Susan, who lived to be 78, would normally have been tirelessly at work. She would telephone those who worked in shelters and on the street to plan how to better help the homeless. She’d call high-ranking officials, including the mayor, insisting that they open more shelters and invest in affordable housing. Apparently, one high-ranking priest expected to see her name on his call display every time the temperature dropped. Thirty years ago, Sister Susan, a Catholic nun, co-founded the city’s Out of the Cold program, a novel initiative for keeping the homeless warm and fed. It sees churches and schools transform into temporary, volunteer-run shelters that offer dinner, a place to sleep, and breakfast the next morning once a week. Each site co-ordinates with others to make sure there’s continuous coverage for the homeless through the winter. At one point there were 30 official Out of the Cold shelters in Toronto. That number now stands at 16, with many more in the city and across the country that follow a similar model but under different names. Sister Susan helped regularly at Out of the Cold sites and spoke to homeless people in shelters and on the street. She advocated for better housing and more permanent shelters, and was involved in the 1998 call to declare homelessness a national emergency, and nearly annual campaigns to have Toronto armouries open as emergency shelters. In 2002, she co-founded Seeds of Hope, a non-profit that runs five Toronto facilities, including a transitional home for women and one for men. She organized public events at Nathan Phillips Square’s Peace Garden, including annual Good Friday services, vigils and calls to action. For instance, on New Year’s Eve 1999, she held an event in solidarity with the world’s poor; in spring 2010 she helped organize a vigil for victims of earthquakes in Chile and Haiti. She often conceived events on the fly and would work the phones to make them happen on short notice. She called Kimberly Curry, executive director of Seeds of Hope and her mentee, nearly every morning at 7:30 and then about five more times throughout the day. If a project was afoot, there would be about 20 calls. “She was a phonoholic,” confirms her niece Mary Jo Eustace, a TV host and author. “Out of the Cold is a response initiated I believe in the heart of God,” Sister Susan said in a video in 2001. Her work was always done in the service of God and with total humility, and her faith gave her an uncommon drive. A speaker at her funeral described her as “persistent and insistent” – a phrase that was met with knowing laughs. Ms. Curry says when the sister wanted to use the Peace Garden, she simply made a call and city officials got it ready – everyone else had to book well in advance. At city deputations or appeals, where staff and security strictly followed speaker lists, Sister Susan could simply walk up to the mic whenever she liked to say her piece. “She got special treatment,” Ms. Curry said. Just weeks before her death, Sister Susan mailed a package to Pope Francis containing cards for his birthday and Christmas that were decorated with Sister Susan’s trademark gold Sharpie pen. She also included a letter asking him to do more to support the poor in the world’s cities. “Clearly, in her head he was going to respond to her,” Ms. Curry says. As she walked and handed out cash, store owners came out of their shops to give her flowers – she loved flowers, particularly white roses – cards and coffee. “She was the Mother Teresa of Toronto,” Ms. Eustace says. Apparently, Sister Susan did such walks on a regular basis. While she had boundless compassion for the less fortunate, she had less sympathy for the red tape of bureaucracy, and was endlessly frustrated that the government never replaced Out of the Cold – which she considered a temporary measure – with city services. “Every time I saw her, every single time, she’d say to me, ‘I did not think this would last this long. I thought the city would do something,'” Ms. Crowe says. Susan Mary Moran was born on April 8, 1938, in Montreal, the middle child of Thomas Moran, a businessman, and Kathleen (née O’Connell, also known as Kay) a concert pianist. The family – which also consisted of eldest Maureen and youngest Dan – moved to Ottawa, spent many years in Vancouver and eventually settled in Toronto. As a child, Susan was something of a tomboy and a daredevil, according to her sister. She and her siblings spent summers at camp, where athletic Susan became very adept at horseback riding. She was also a skilled hockey player. She was raised Catholic and her father was particularly devout. She went to high school at Loretto Abbey in midtown Toronto and was studying to be a nurse when, at age 19, she contracted the Asian flu. That developed into a staph infection around the lining of her heart. At one point, she was so ill that she was given the last rites. During her illness, she promised God to devote her life to serving him if she survived. After her recovery, she attended Toronto Teacher’s College (which is now the Ontario Institute for Studies in Education) and taught for a few years. In October 1963, at age 25, she joined Our Lady’s Missionaries in Richmond Hill as a novice. (Her mother was taken aback, at first; her father was thrilled. Mr. Moran was also interested in religious service: In 1965 he helped found the Southdown Institute, which gives support to members of the clergy suffering from addictions and mental-health problems.) She took her final vows in 1972. While many of her colleagues travelled around the world for missionary work, a fear of flying kept Sister Susan in Canada. She continued teaching at Catholic schools in Toronto. One of her early jobs had her working with the severely disabled. She ended up at St. Michael’s College School and carried out various duties there over the years. 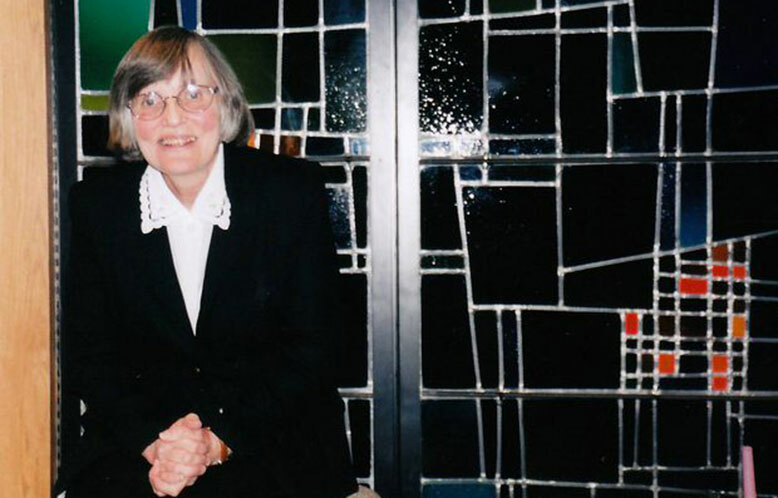 Sister Susan was serving as chaplain in the mid-1980s when she, staff and students befriended a homeless man named George, who would sleep in the school’s yard. Students would bring him food and clothing. George was beaten to death over a drug dispute in 1986. Devastated by his death, Sister Susan worked with students, her fellow teacher Father John Murphy and an Anglican priest named Reverend John Erb to create a non-denominational place of refuge for the homeless. The project began as a Saturday lunch program at a storefront on St. Clair Avenue West in early 1987, and then moved to Holy Rosary Church nearby. The founders worked to get other faith-based organizations involved, including the Good Shepherd Ministries on Queen Street East, which was the first to offer overnight stays. Soon, other organizations began offering the program. In 2003, Dixon Hall Community Services, a local non-profit group, took over the administration of the program. 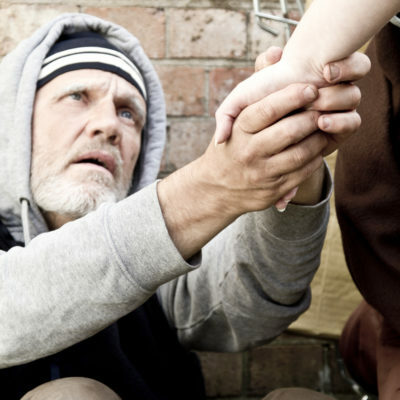 Sister Susan eventually left St. Michael’s and devoted herself to working with the homeless and Out of the Cold. She was named to the Order of St. Michael in 2001 and the Order of Canada in 2006. She loved the ritual and ceremony of her faith. Whenever she ran an event, she made sure it was beautifully decorated with ample flowers, usually white roses. There was often music. (She loved music and often attended the symphony. She was forever getting and, in turn, giving away, free tickets.) Sister Susan sent handwritten cards and wrote with a gold-ink pen to give her correspondences an otherworldly look. Sister Susan leaves behind her sister and brother, their spouses, several nieces and nephews and their children.